Jocelyn and Bret Treasure advised us of some very sad news last week, but also recounted some wonderful memories. It was a week in which the ANZAC Day Derby Cup football match between the South Fremantle Bulldogs and East Fremantle Sharks proved a real dampener, when play was firstly hampered by an hour of torrential rain, secondly the Sharks claimed the Sir Hughie Edwards Cup in an 85-point victory, and most solemn of all the Bulldogs were mourning the passing of their triple premiership defender Gerry Bahen, at the age of eighty three. The South Fremantle team all wore black armbands and there was an oral tribute to Gerry at half-time. Jocelyn points out that the Bahen’s are a unique and very close family with a wonderful individual sense of humour. Gerry’s wife Adrian is known by the name ‘Jimmie’ which of course used to confuse everyone when they were introduced, and Gerry used to say “I’m the flat-chested one”. Jimmie is also my dear and very special friend. After Brian died she and Gerry used to take me down to their holiday house on Molloy Island (where Blackwood River meets the Scott River and flows into the Hardy Inlet near Augusta). I don’t think I’ve ever laughed so much as I used to during those times. Wonderful people. TVW staff will remember Gerry as the Film Manager from 1961 to 1966, then as the Concessions and Bar Manager at the Perth Entertainment Centre from 1974 to 1977. Just had a call from Joc who is a close friend of the Bahens; Gerry just passed away, surrounded by family. A man of great courage; endured health issues without complaint for almost all of his life. Just a wonderful family man, a close friend to many and a highly regarded member of the Fremantle and sporting communities for (I’d reckon) nearly seventy years. Survived by his wife Jimmie and four adult children. Gerry was born into a business and sporting family. In the sporting arena, he achieved the rare feat of playing league football in the VFL before debuting in his home State. He learned his football at Aquinas College, being in a number of unbeaten sides in the early post-war years. Gerry was the Head Prefect. At school he was also prominent in tennis and boxing. Following this he played nine reserves games at South Fremantle in 1949 before his job took him to Melbourne, where he joined the Mentone Football Club in the Federal League, which was unaffiliated with the Victorian Football League (VFL). Mentone was a successful feeder club with a number of footballers then going on to play higher-level football, at different clubs. Games held under the auspices of the Federal League were perceived to be rougher and more colourful, and the footballers were usually well known to spectators. The six foot and thirteen stone Gerry was well suited to playing a defensive position, where his reliable marking and long clearing kicks proved a feature of his game. The next season, Gerry was approached by North Melbourne and joined the line up with the Kangaroos for eight games, before returning to Western Australia in 1952. Gerry soon became a reliable half-back playing with South Fremantle where he participated in the WAFL premierships of 1952 (Vs West Perth), 1953 (Vs West Perth) and 1954 (Vs East Fremantle) to make it three wins in a row. 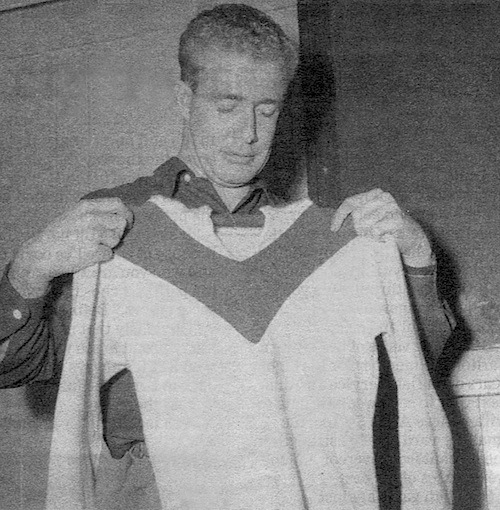 Gerry also finished fifth in the 1954 Sandover Medal count with 12 votes, being the highest scoring South player, and represented Western Australia against Victoria. Meanwhile when not training or playing, Gerry was managing his father’s P&O Hotel in Fremantle. The Bahen family had run the P&O Hotel in Fremantle for many years where Gerry’s father Clem was the publican from 1934. Clement Michael (Clem) Bahen was a highly regarded football player too, playing 158 games for Subiaco between 1917 and 1928, where he was one of the club’s finest wingmen, and equally damaging on the half-forward line. His blistering pace and freakish leap made him a star in the 1920s, and he was a regular State representative. Clem Bahen was also a champion foot runner and one of the State’s best known and most popular citizens. For some 10 years prior to his interest in the hotel business Clem was managing director of C. M. Bahen Ltd., a linotyping business supplying the printing industry with typesetting slugs. Earlier he gained four years of business experience in the Commercial and Commonwealth banks. 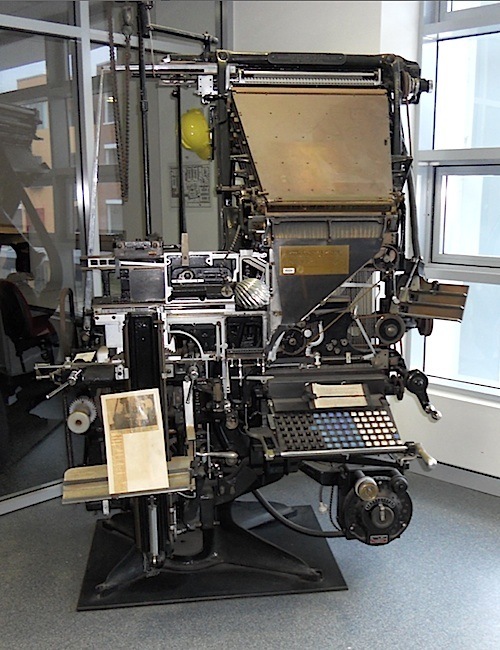 Linotype was the greatest advance in technology since moveable type because it could create lines of type much quicker with less operators to make more pages. Until its invention in 1884, no newspaper in the world had more than eight pages. Following the 1955 season, at the age of twenty six, and after eighty games, Gerry Bahen decided to quit the game in favour of his family and business commitments. Then in 1961, Gerry joined TVW as the Film Manager, where he was highly regarded. Gerry’s father Clem passed away in 1966, at 65 years of age. Once again Gerry answered the call in favour of his family and business commitments, until his friend Brian Treasure enticed him back into the fold as the Concessions and Bar Manager at the Perth Entertainment Centre from 1974. A Channel Seven subsidiary which Treasure had championed from its inception. 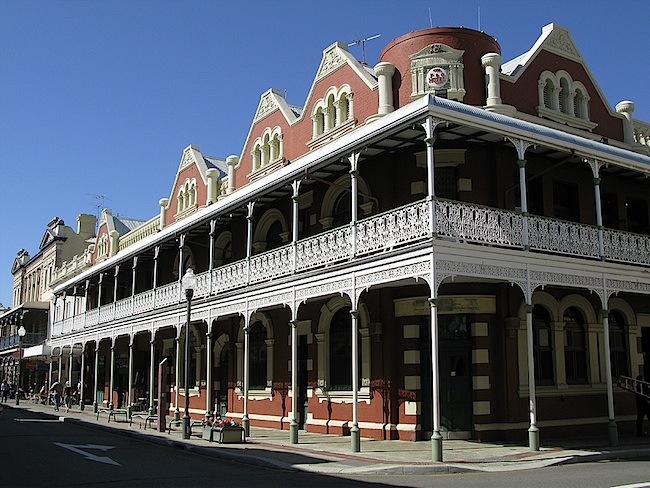 The Fremantle Campus of the University of Notre Dame Australia now holds the lease for the P&O Hotel where students live in dorm-like accommodations located in the heart of downtown Fremantle, close to the academic buildings of UNDA. The refurbished P&O Hotel now includes student rooms (double occupancy), shared bathrooms, living areas, and cooking facilities. As part of UNDA, it is now designated as Building ND5 (former P&O Hotel), Lecture Rooms 113 & 106, Student Residence and Staff Flat. 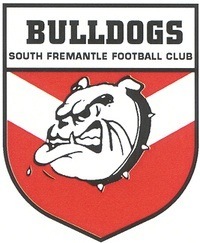 Gerry maintained his close association with South Fremantle Football Club, serving as a committeeman, vice president, bar manager and was made an Honorary Member. He was a patron of the club, and organised the annual “Gerry Bahen Classic”, an athletic event. Gerry maintained that Steve Marsh was the best he played with. Gerry was a life member and a popular figure at the Bulldogs, and will certainly be missed at the club on a Friday night. Gerry was a wonderful human being; kind and personable, staunch and loyal; a person whose company everyone enjoyed. He generated so much camaraderie among so many people. Lois and I are very sad about Gerry’s passing; we were good friends of the Bahen’s in the early days. The whole Bahen family in fact, were very kind and hospitable people, and we spent many happy hours with Gerry and Jimmy in particular. Gerry was the quintessential gentle giant and (as Bret said) was a man of great courage and fortitude in that he never gave anyone the slightest clue that he had constant, nagging discomfort (to say the least) with his health problems—that lasted a lifetime. Thank you again for letting us know of Gerry’s passing, he was an inspiration to all of us who think we are doing it tough with our aches and pains—as well as being a real man amongst lesser mortals! An absolute champion bloke who will be sorely missed. Leaves a big hole in our lives. Audrey Long (former Barnaby) was also touched by his passing. I’m so sad to hear about Gerry. I met his wife Jimmie, her maiden name was the same as mine, Burgess. Sorry to hear this sad news. Sincere condolences to Gerry’s Family. Very sad, Gerry was a very nice fella. Gerry passed away 24.4.2012. Much loved husband of Jim for 58 years and father to Peter, Tracey, Kelly and Cathryn. Beautiful Grandfather to 9. My friend, confidante and gentle man. You have created a lifetime of stories and precious memories to cherish forever. Love, your James. Wonderful memories of a kind, thoughtful and loyal friend. A champion in every respect. Deepest sympathy to Jimmy, Tracey, Peter, Kelly, Catherine and all the grandchildren. Gerry will be fondly remembered and sorely missed. BAHEN (Gerry): Deepest sympathy to Jimmy and family. Cousin to Jennifer, Wendy and Mervyn. BAHEN (Gerald): Deepest sympathy to Jimmy and family on the passing of Gerry, a very loyal and much loved friend of Stan and Ida Robinson (both dec). A great friend to the Robinson and Chadwick families, he will be sadly missed. Rest in peace. Deepest sympathy to Jimmy and the Bahen family. We have lost a loving and true friend. Anne and Peter Hickey and family. Loved and loving brother of Geraldine and Neil. Loved and admired uncle of Genevieve, Andrew, David and Jeremy and families. You’ll be sadly missed Geraldo, our hero. Loving son-in-law and brother-in-law to Grandy (dec) and Sybil, good mates with Don and Bruce, a friend to Lee, Grace, Jen and Nic. You lived a life many would envy. Rest in peace mate. Great memories of my good mate and dear friend Gerry. Deepest sympathy to Jimmy and family. Great memories of a champion SFFC player and a champion bloke. Sincere sympathy to Jimmy and family. Deepest sympathy to Jimmie and family. Will have happy memories of a true friend and gentleman. Archie and Irene MacLeod and family. Deepest sympathy to Peter and family. Dennis and Noreen O’Rourke. Happy memories of a true and loyal friend. Love to Jimmy and family. Loving steadfast stout- hearted and wise. An incomparable and irreplaceable gentle giant of a friend. Our hearts go out to our darling Jim and to Tracey, Peter, Kelly, Cath and their families. Precious memories of Gerry will stay alive in our hearts forever. Jocelyn, Brian (dec), Brett Pollock and all the Treasure family. The South Fremantle Football Club is saddened to hear of the passing of one of the great players of our golden era. Gerry, a triple premiership player and highly esteemed life member, will be sorely missed but not forgotten. Deepest sympathy to Jimmie and family on your sad loss. From the President, Board of Directors, Staff, Players and Members of the South Fremantle Football Club. Forever in our hearts. Deepest sympathy to Jimmy and family. Love Leeanne and Geoff Beard and family. In memory of our dear friend Gerry. He was involved in the South Fremantle Football Club for a long time. Deepest sympathy to Jimmy and family. He is now resting in peace. Heartfelt sympathy to Jimmy, Pete, Tracey, Kelly, Cathy and family on the loss of a wonderful man. Our love and thoughts are with you. All our love Rob, Chrissie, Allira and Tanika. A friend from childhood who will always be remembered for his good humour, loyalty, integrity and determination. One of life’s characters. He was the flag bearer for a special family. Fremantle has lost a special identity and I lost my best friend. My heartfelt thoughts are with Jimmy and family. Deepest sympathy to Jimmy and family. From the old Saturday morning group, Mick, Dudley, Bill, Freddie, Laurie and Ron. BAHEN (Gerry): Great memories of Gerry, who played a big part in Freo town. Deepest sympathy to Jimmy and family. Brian and Coralie Anderson. Dear Gerry, friend of many years. God bless. Deepest sympathy to Jimmy and all the Bahen families. Deepest sympathy to Jimmy, Pete, Tracey, Kelly, Cathy and families. Gerry was a true gentleman, a good listener and a great friend. Alf and Lorraine. To dear Jimmy and family our heartfelt sympathy to all of you. Gerry, a “true blue” Fremantle man of a wonderful family. A Mighty Bulldog Love Rikki and Des Dans and family. Bill and Liz (dec) Brennan. Heartfelt sympathy to Jimmy, Peter, Tracey, Kelly and Cath and families. Loving sympathy to dear Jimmy and family on the sad loss of your beloved Gerry. Our friendship was over many years and we will miss you especially at our Friday lunches. Avis and Fred, Norma, Geoff and families. Farewell to a special man with special qualities. Sympathy to Jimmi and family. Darcy Farrell. Generous Gerald, recently known as the rooster. A great mate, special family friend and fellow Bali traveller. It is with great sadness we say goodbye to our lifelong friend Gerry of over 50 years, leaving us with cherished memories that will remain with us all forever. Heartfelt sympathy to dear Jimmy and all the Bahen families. Gerry was a helping hand always ready to lend, nice to everyone, nasty to none, to all of us you were number one. Rest in peace. Brian and Kay. Dear Jimmy, Peter, Tracey, Kelly, Cath and families warm and special thoughts are with you all at this sad time. Barry, Lynn and family. My deepest sympathy to Jimmie and family on the passing of Gerry. Dear Gerry, you were the epitomy of a true gentle man. Heartfelt sympathy to you Jimmy and family. Lots of love Patricia Giudice and family. BAHEN (Gerry): Deepest sympathy to Jimmy and family. We have been left with some fun memories of our days at the P&O Hotel and Park Tavern. Will always be remembered. Tom G, Chookie K, Ray Mc and Phil J. Rest in peace. To Jimmy, Peter, Tracy, Kelly and Catherine and families our prayers and thoughts are with you. In memory of a fine gentleman, a true friend and a wonderful neighbour. Our Perth home will never be the same without you and your cheeky smile. Rest in peace dear Gerry. Forever in God’s loving arms. Mark, Gay, Ross, Terry, Teresa, Maria and families. A Requiem Mass for the late Gerald Edmund Bahen of Fremantle will be held at the Basilica of St Patrick 47 Adelaide St, Fremantle at 10.15am on WEDNESDAY (2.5.2012). At the conclusion of the Service the Cortege will proceed to FREMANTLE Cemetery for a Cremation Service commencing at 12.00 noon. No flowers by request. Donations in lieu to Silver Chain would be appreciated. My deepest sympathy at the very sad passing of Mr. Bahen..he was a special man and my first boss when I commenced at TVW.